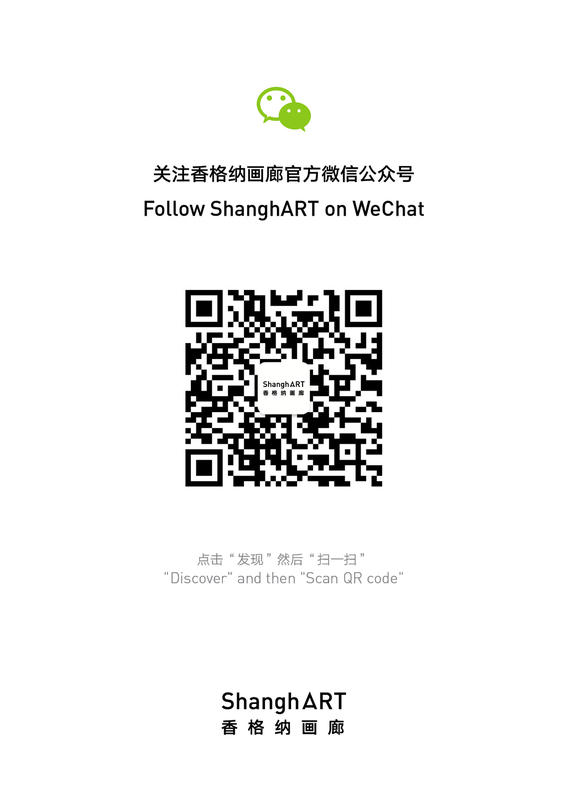 ShanghART Gallery is please to present the second exhibition in the Semi-automatic Mode series, the canvas works from artist Han Feng, Hu Liu and Zhao Yang will be displayed. The exhibition will last till 14th December. Semi-automatic Mode is a random choice made from accident and causality, contradiction and complement. In the state of semi-conscious, examing the fast and efficient developing method and progress from distance, refuse to be superficial. After the first exhibition of “Semi-automatic Mode”, ShanghART Beijing space is now on the second round of this program. The exhibition will focus on canvas works. Similar alignment and material provide different feelings and distributes different qualities, which bring about a very different texture. The tension formed by deviation will aggregate and ferment in the exhibition constantly. It’s surprising that all of that become logical under the semi-automatic mode. Han Feng was born in Harbin in 1972, now works and lives in Shanghai. In 2008, he received the“Creative M50 Jury Award”and in 2010, Han Feng won the first prize of “John Moores Painting Prize (China)”. His recent exhibitions include: Aichi Triennale 2013, Japan (2013); Paper, Saatchi Gallery, London, U.K. (2013); Han Feng Solo Show, Centre for Chinese Contemporary Art, Manchester, U.K.(2012); Han Feng Works Exhibition, Aroundspace Gallery, Shanghai (2011); +follow, MoCA, Shanghai (2011); 3rd Biennial at the End of the World, Atropoceno, Tierra del Fuego, Ushuaia, Argentina (2011); The Wronger, the Prettier, Han Feng Solo Show, Don Gallery, Shanghai (2009); Smptomy, Zhu Qizhan Art Museum, Shanghai (2008); Chinese Fine Arts Exhibition, Museo Della Permanente, Milan, Italy (2008). Hu Liu was born in Henan in 1982, she has graduated from Xi’an Academy of Fine Arts in 2004, now works an lives in Beijing. Her recent exhibitions include: The 10th Shanghai biennale, Shanghai Contemporary Art Museum, Shanghai (2014); 2013 New Youth Art Character of the Year, K11, Shanghai (2013); Hu Liu Solo Exhibition - Daytime, Magician Space, Beijing (2012); ON/OFF,Collective Practice in China, UCCA, Beijing (2012); Shanshui, Museum of Art Lucerne, Luzern, Switzerlang (2010); The Boundary of Utopia, Today Art Museum, Beijing (2008). Zhao Yang was born in Jilin in 1970, he has graduated from the Middle School Affiliated to Zhejiang Academy of Fine Art in 1990, and graduated from China Academy of Fine Art in 1995. His recent exhibitions include: Broken Stand, Long Museum, shanghai (2014); Lost Portrait, Long Museum, shanghai (2014); A Mirags Similar Truth,Galerie Eigenheim, Weimar, German (2013); The Bottomless Pit, Zhao Yang Solo Exhibition,Up to Art Space, Shanghai (2013); Lgnition Point, Shanghai Duolun Museum Of Modern Art, Shanghai (2013); Science isn't an Existence of time, Guangzhou (2012); Crea Tive China-I Believe I Can Fil, German (2012); Chengdu Biennale Special Invitation Exhibitions “Emory Suture”, L-Art Gallery, Chendu (2011); New Lay-Out — 09 Contemporary Art Selection, Shanghai (2009); Blackboard, ShanghART H Space, Shanghai (2009); Another Way-Hangzhou Experimental Art Exhibition, the Quartet Art Museum, Nanjing(2008).